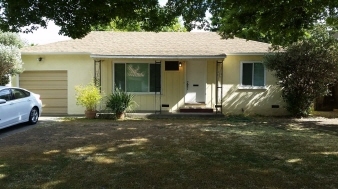 Incredible Opportunity for first time home buyers in desirable college view neighborhood near UOP! Efficient Layout, Brand New HVAC, newer Granite Counter-tops, Cabinets and Hardware in Kitchen. Newer flooring in Kitchen and Bathroom. Enjoy original hardwood floors in Living Room, Hallway and Bedrooms with original built in closets. Spacious backyard with serene patio to enjoy an abundance of family memories. A Must See!